The New York State Real Property Tax Law (RPTL) authorizes a property owner to petition the court for relief in the case of property assessments. Under this provision, property owners who pursue this relief may obtain a court settlement, known as a Certiorari tax refund consent judgment, with their local taxing jurisdiction. The Westchester County Finance Department will process the judgments for only the Westchester County portion of property taxes; the local school district and the local city or town refunds their property taxes directly. In Westchester County the commissioner of finance is also the county treasurer. Read more about penalties and interest on late payment of taxes. In order to process refunds of county taxes via a certiorari judgment, the following must be provided. The lawyer representing the property owner serves the county with the hard copy consent judgment and stipulation of settlement signed by the presiding judge. The consent judgment and stipulation of settlement documents must contain the representative agreement signatures of the property petitioner, the respondent city or town municipality, the Westchester County Attorney (the county Law Department), and usually the respective school district. The lawyer's submission must include Proof of Payment of Westchester County taxes for the applicable Westchester County tax years (not assessment years) and the name of the Westchester County sewer district (if applicable to the property). The lawyer must include the actual street address of the property in either the judgment narrative or the cover letter. New requirement as of January 2015: An electronic scan of the complete served consent judgment document must be sent by e-mail to the Westchester County Finance Department - in addition to the hard copies discussed above. The scan should include all cover letters, stipulation of settlement, notice of entry, demand for payment and the proof of payment of Westchester County taxes that is being served as a hard copy. 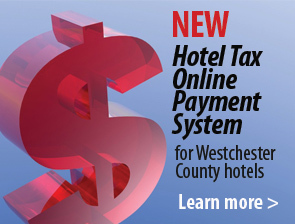 Send the scanned consent judgment to Taxcjwest@westchestergov.com. Do not e-mail petitions of complaint against property assessments to the County Finance Department. This new requirement ONLY applies to finalized consent judgments for successful grievances against property assessments. If any lots or units in multi-dwelling or multi-unit buildings are wholly or partially exempt from any of the county taxes, or if any property is exempt from any portion of county taxes, then that information must be stated by the city or town and must be requested by the attorney representing the property owner. Per request of the Westchester County finance commissioner, the letter must indicate if the property owner is paying County taxes, County Refuse District taxes, and County Sewer District taxes or if the property is exempt for any of those taxes. Per request of the Westchester County finance commissioner, include a copy of the last Westchester County tax bill pertaining to the judgment for the property. Proprietary municipal financial system screen prints are not suitable as proof of payment. The letter is signed by the city or town receiver of taxes, the city or town finance commissioner, or their authorized subordinates. The city or town tax receiver also knows the county sewer district, if any. The attorney representing the property owner must obtain and provide the documentation detailed above. A scanned version must also be sent by e-mail as per the January 2015 requirements detailed above. For questions about your finalized certiorari judgment that you believe will generate a county tax refund, call the Westchester County Finance Department at (914) 995-2771. Questions about tax refunds of local municipal or school district taxes should be directed to those entities directly. Related topic: For questions about SCAR agreements, call the Westchester County Finance Department at (914) 995-2772. Learn more about receiving a tax refund through the Small Claim Assessment Review.